You wouldn't lie under oath would you? Well here is a way to keep all the nights events underwraps. 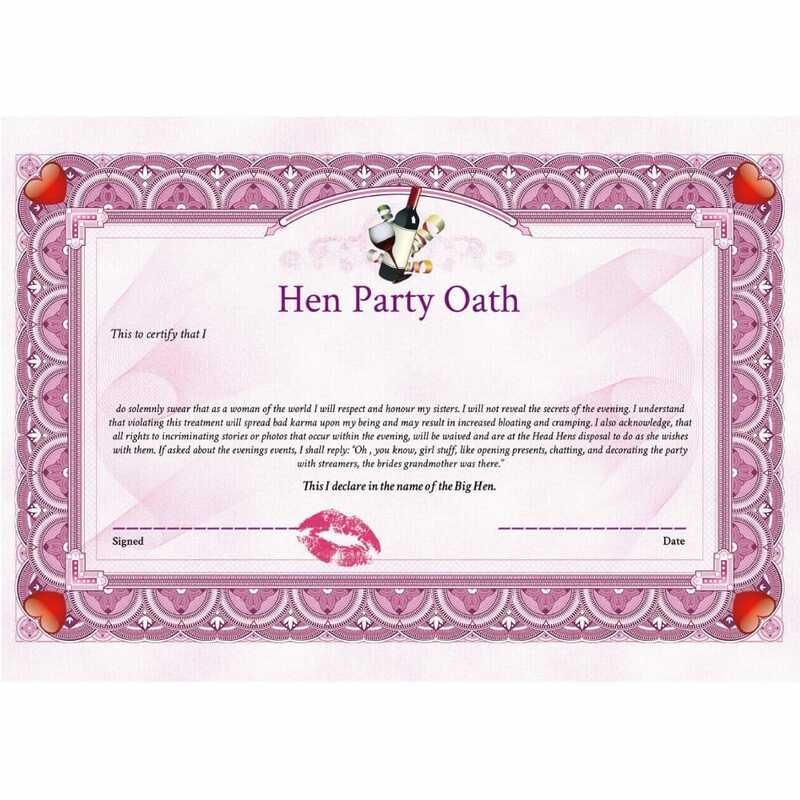 This is a top secret document that binds all the hens to secrecy upon their signature as there are bound to be certain happenings and mishaps that go on during the event that definitely need to be kept secret. What happens on the hen party stays on the hen party!